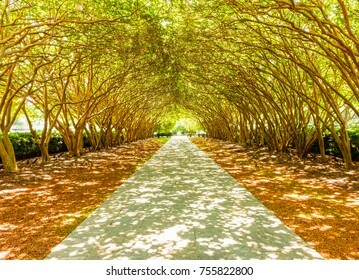 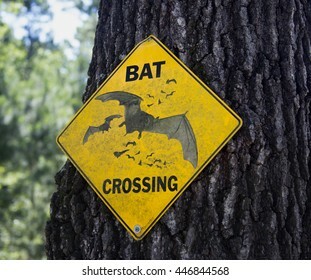 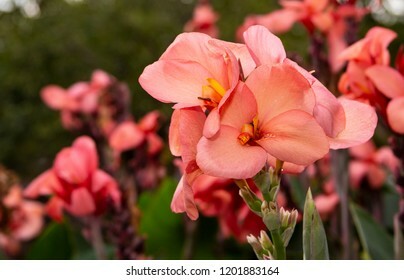 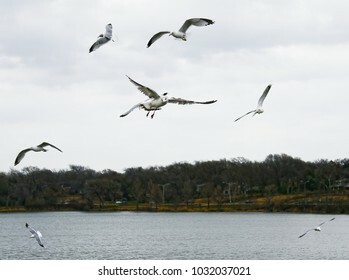 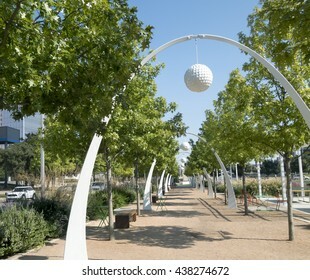 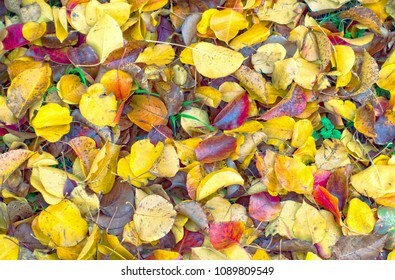 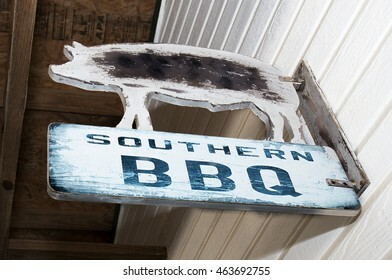 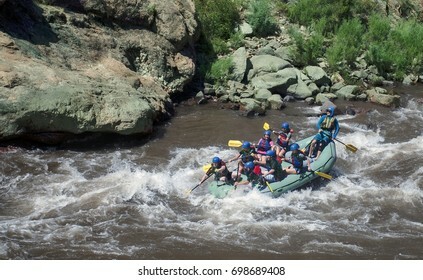 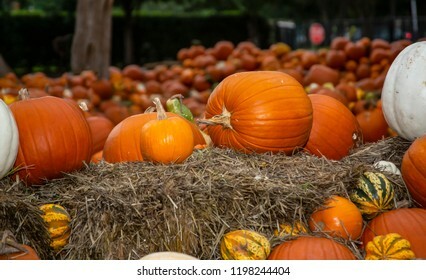 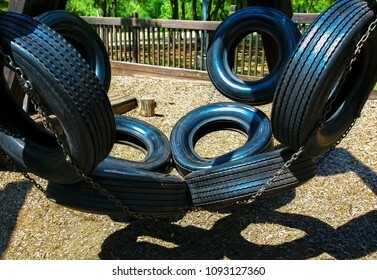 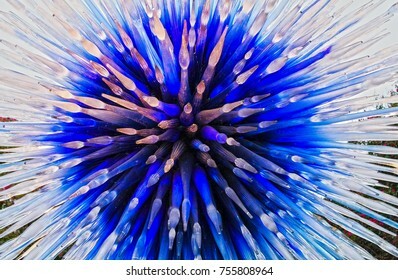 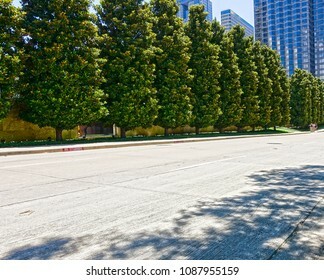 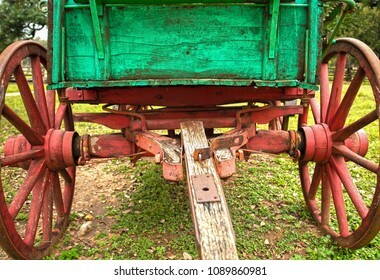 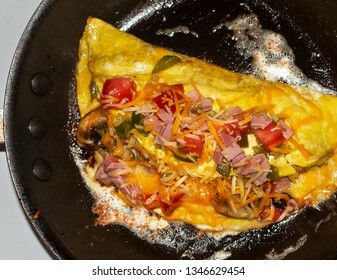 366 stock photos, vectors, and illustrations are available royalty-free. 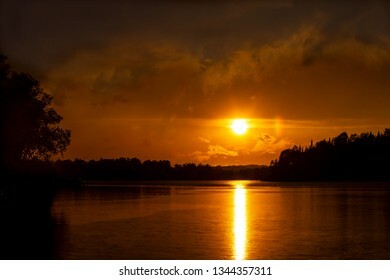 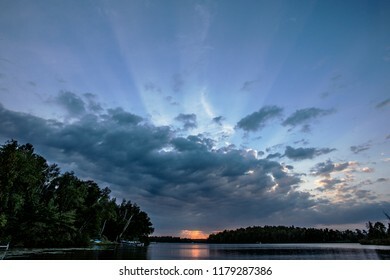 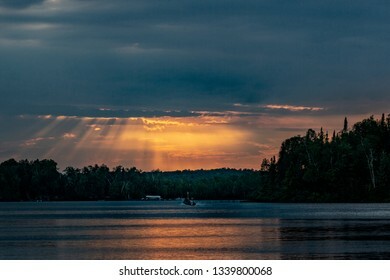 Beautiful sunset over a remote northern Minnesota fishing lake, silhouetting the shoreline trees, with smoke from fires in Canada, rolling over the lake and sun rays reflecting off the water. 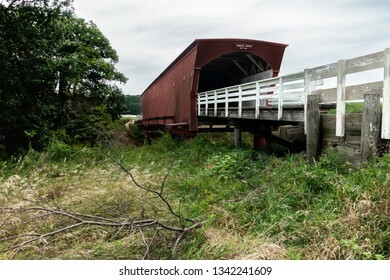 Winterset, IA USA August 23,2018: One of several vintage covered wooden walking bridges in Madison County Iowa, near Winterset, Iowa, Roseman Bridge, built in 1883. 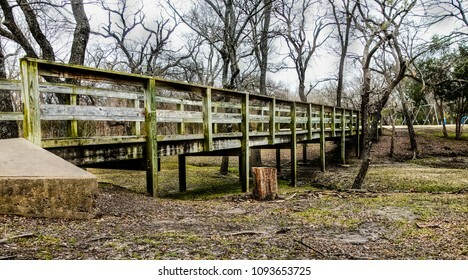 Winterset, IA USA August 23,2018: One of several vintage covered wooden walking bridges in Madison County Iowa, near Winterset, Iowa, Imes Bridge, built in 1870. 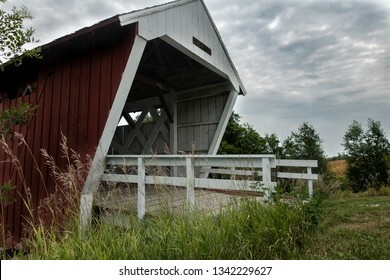 Winterset, IA USA August 23,2018: One of several vintage covered wooden walking bridges in Madison County Iowa, near Winterset, Iowa, Hogback Bridge, built in 1884. 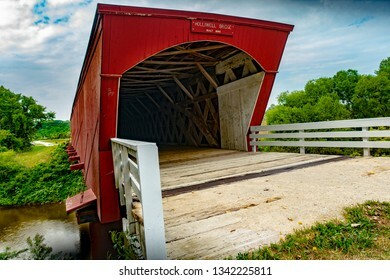 Winterset, IA USA August 23,2018: One of several vintage covered wooden walking bridges in Madison County Iowa, near Winterset, Iowa, Holliwell Bridge, built in 1880. 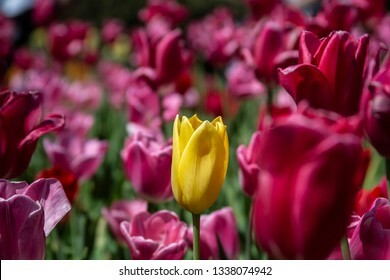 Stunning Spring yellow tulip in a bed of blood red tulips. 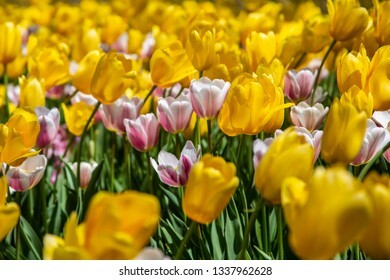 Gorgeous bed of yellow and pink Spring tulips in full bloom; depth of field used to focus on the center yellow tulip among pink tulips. 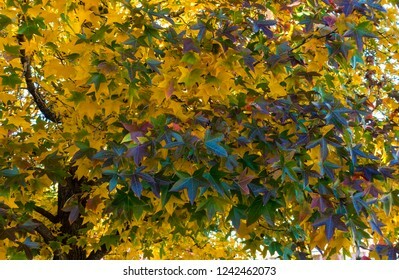 Stunning display of red, gold, and purples leaves on a Sweet Gum Maple in November in Texas. 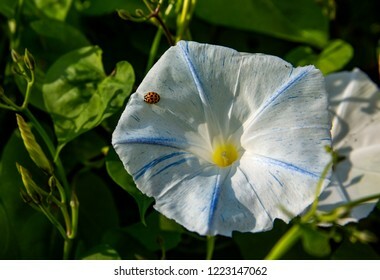 Asian lady beetle resting on a petal of a beautiful variegated morning glory under an afternoon sun. 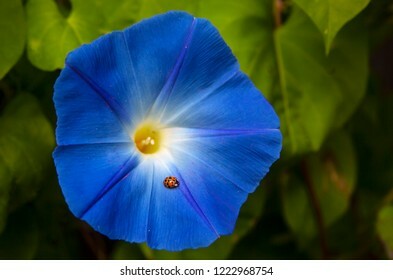 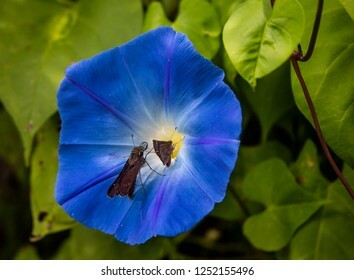 Ladybug red with black spots resting on a gorgeous morning glory flower in full bloom on its vine. 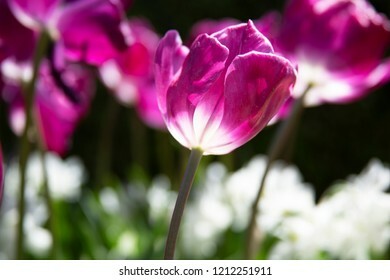 Pink tulip backlit by the afternoon sun, in a mixed flower garden, in the spring. 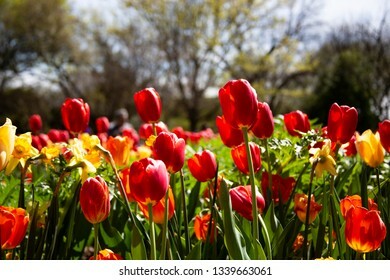 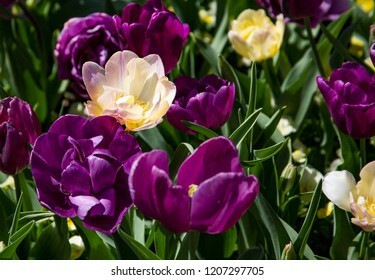 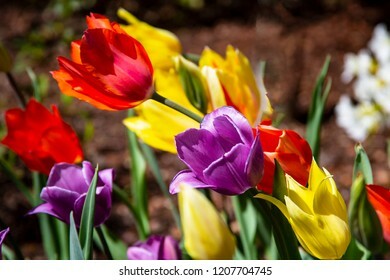 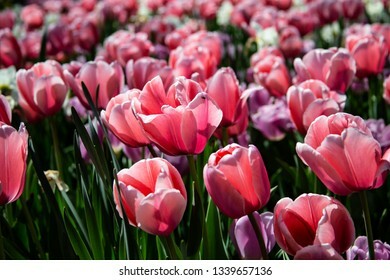 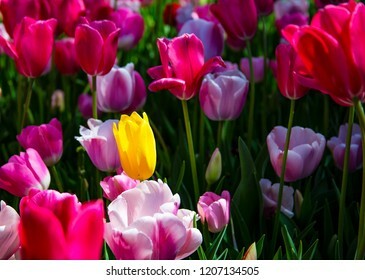 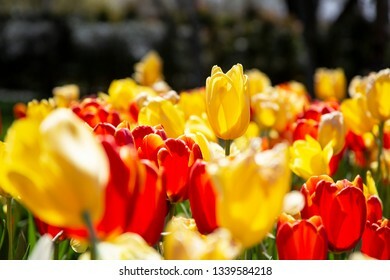 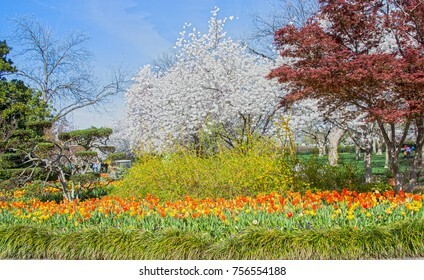 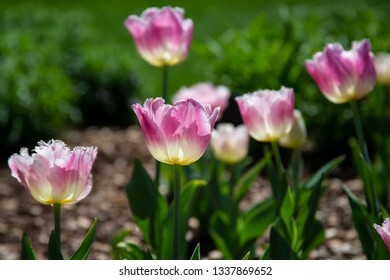 Stunningly beautiful and colorful purple, red and yellow tulips on a bright breezy, and sunny afternoon in a city park. 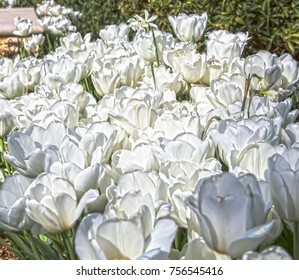 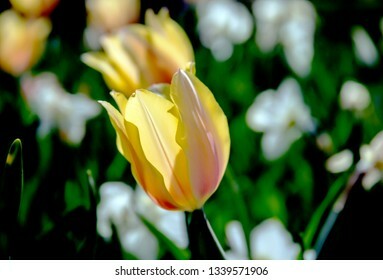 Blooming variegated white and yellow tulip in a bed filled with purple and white tulips. 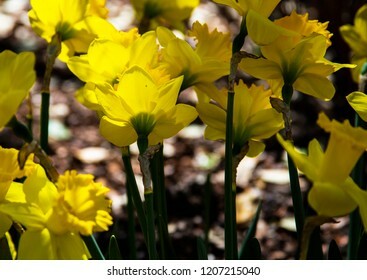 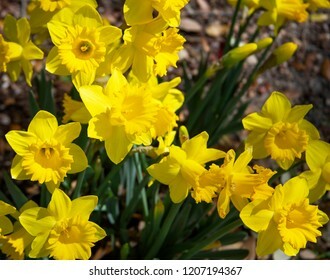 Flower bed full of beautiful, delicate, yellow daffodil flowers, in bloom under the afternoon sun. 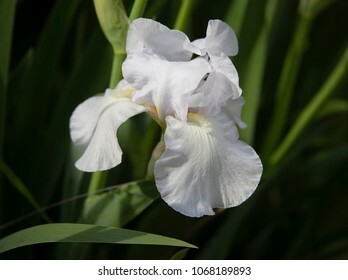 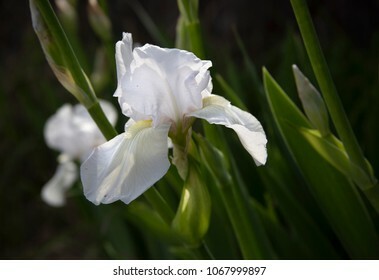 Gorgeous isolated springtime white iris flower in full bloom, petals fully open, in a bed of irises. 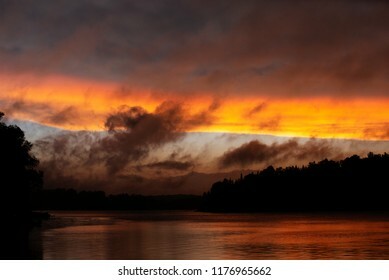 Trees on a remote Minnesota north woods lake in silhouette at the end of a spectacular fiery sunset, with smoke clouds from the Canada wildfires drifting through it and over the lake. 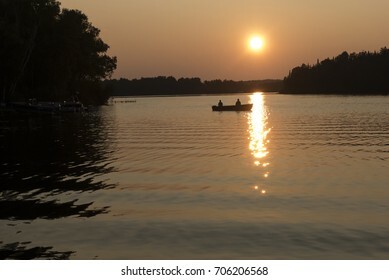 Silhouette of a fishing boat with two people in the bay of a Minnesota lake before sunset, with the sun reflecting off the water. 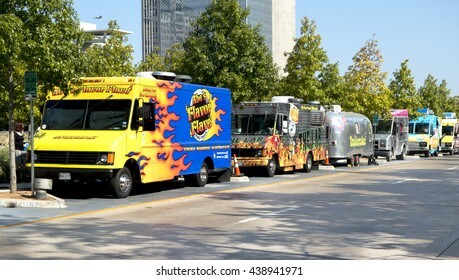 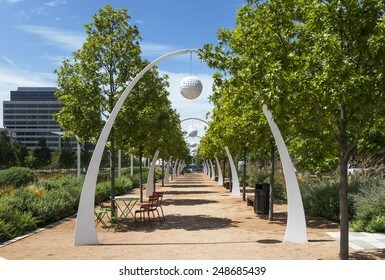 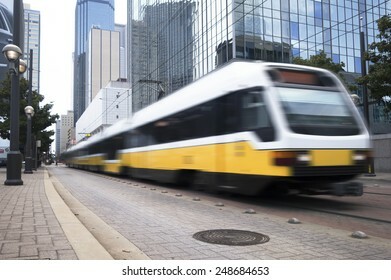 Dallas, TX USA Oct 23, 2014: Food trucks are a very popular alternative lunch choice to office workers and park visitors at Klyde-Warren park. 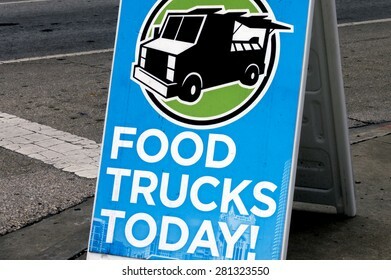 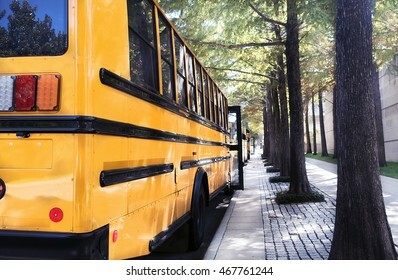 Trucks are shown in their reserved parking area. 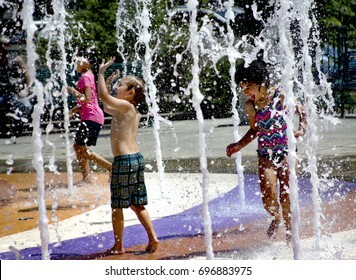 Colorado Springs, CO USA, July 17,2017: Children of all ages can play in a public fountain in the center of downtown Colorado Springs, Colorado, like these on their summer break on a hot July day. 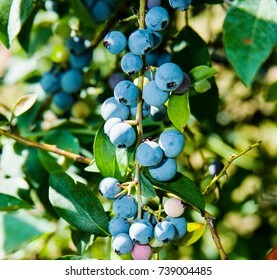 Bunch of juicy ripe Texas blueberries hanging from an orchard vine in the morning. 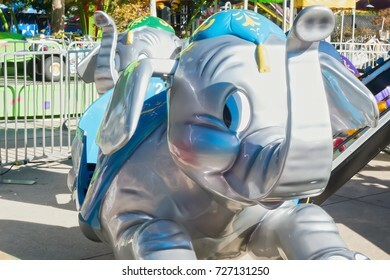 Dallas, TX USA Oct 13, 2014: Baby elephant ride in the children's rides area of the State Fair of Texas at Fair Park, in Dallas, TX., running annually during the first three weeks of October. 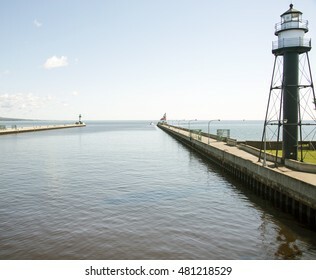 Two lighthouses at the end of piers looking out to Lake Superior guard the entrance of the Duluth harbor canal on a clear and calm morning. 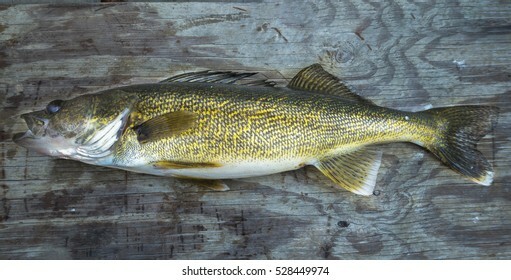 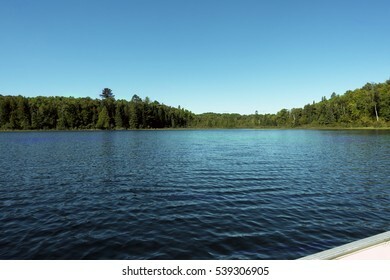 Beautiful fresh caught Minnesota lakes, Walleye Pike lying on a wooden boat bench seat, in the summer. 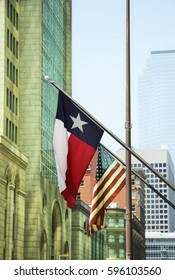 Texas and American flags on building flagpoles, flying in the middle of the central business district of downtown Dallas, TX. 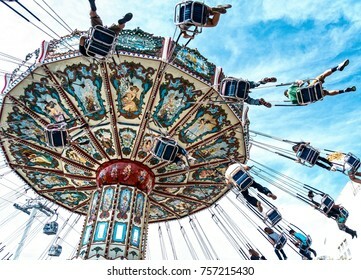 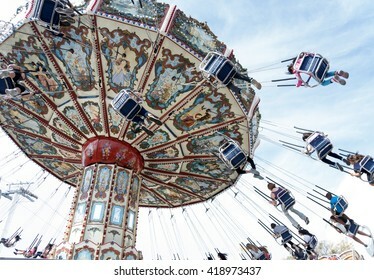 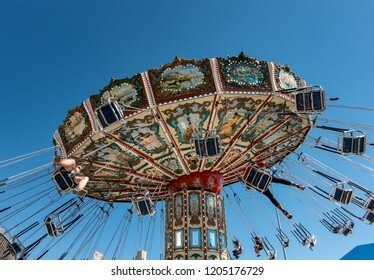 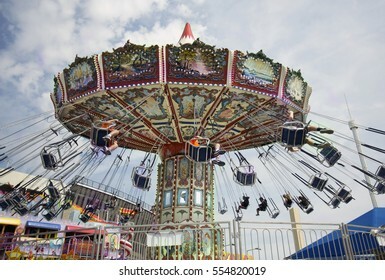 Dallas, TX USA/November 13, 2016: A spinning, tilting aerial swing ride at the State Fair of Texas, running annually at Fair Park during the first three weeks of October. 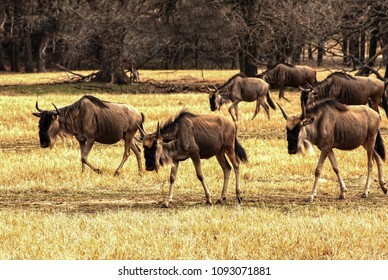 Front of a herd of wildebeests traveling down a well used trail in the summer heat. 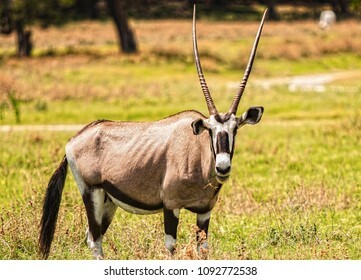 African Gemsbok antelope feeding in a plain of grass in the summer sun. 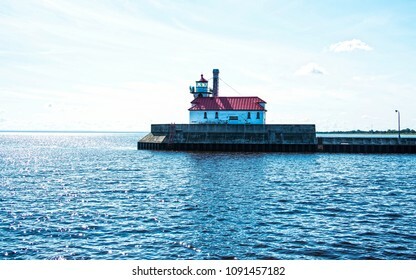 Lighthouse with a red roof at the end of a pier at Duluth harbor in Minnesota, while wispy white morning clouds drift above it. 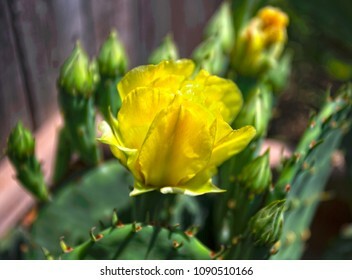 Yellow cactus rose in full bloom in the middle of several buds on cactus plants. 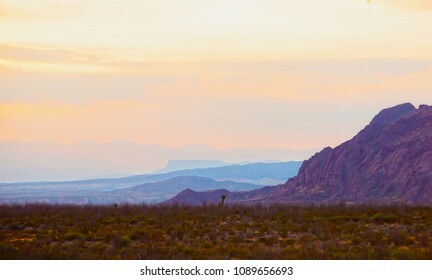 Layers of color fill the sky in a stunning sunset over the Chihuahua Desert floor of Big Bend National Park, in Texas. 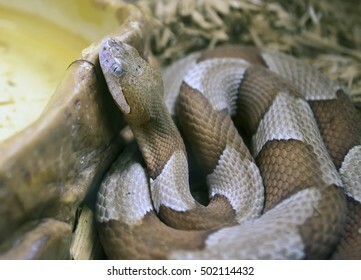 A copperhead snake found in north Texas coiled near a pet feeding dish, outside. 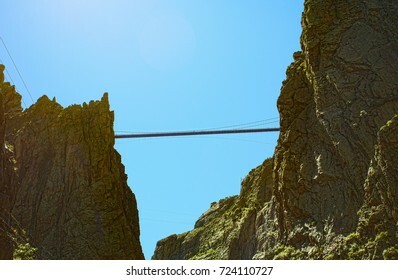 Looking up at from the bottom of the 1250 foot Royal Gorge in Canon Colorado, at pedestrians on the suspension bridge that are crossing it. 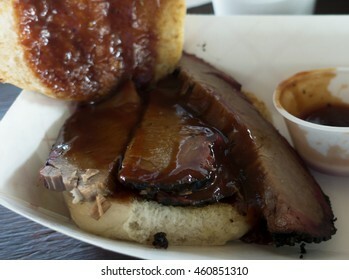 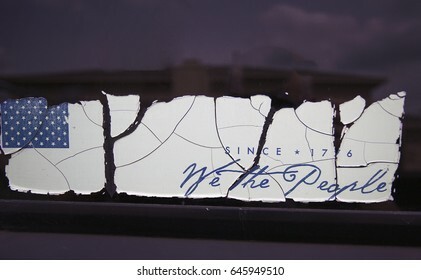 Mesquite, TX USA May 19, 2017: `We The People bumper sticker; a large crack after the US flag and one between `We` and `The People`, perfectly representing the fractured state of the United States. 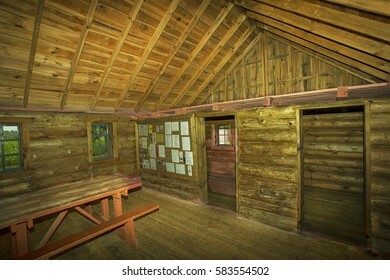 Stockholm, WI USA August 28, 2016: "Little House on the Prairie" author, Laura Ingalls Wilder's, reconstructed three room, log cabin birthplace home interior in Stockholm Wisconsin. 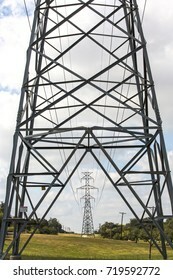 Bottom half of a high voltage electrical transmission tower in the foreground and other towers seen through it, in the background, on a cloudy Texas morning. 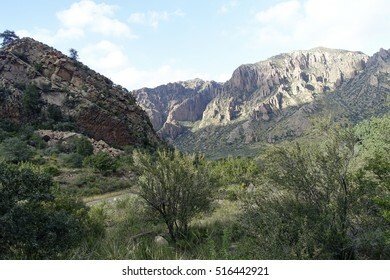 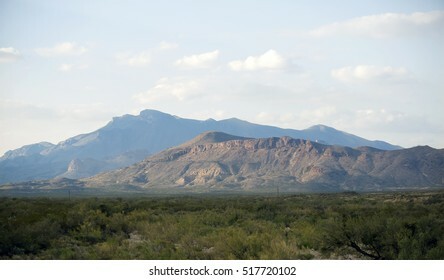 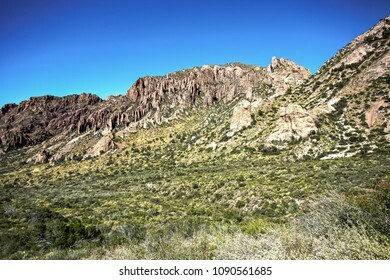 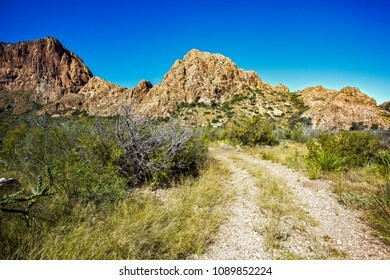 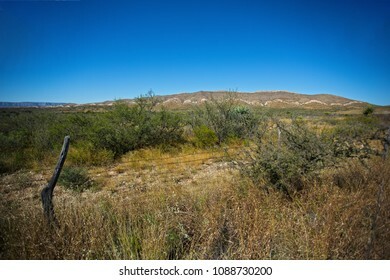 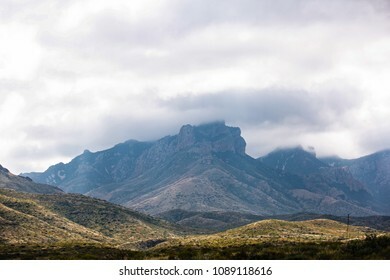 The Chisos Mountains rising high above the Chihuahuan Desert in the Big Bend National Park in Texas. 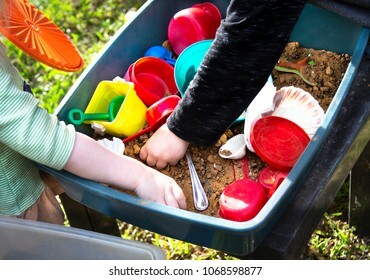 Two toddler arms and hands playing with plastic toys in a tub with sand in it. 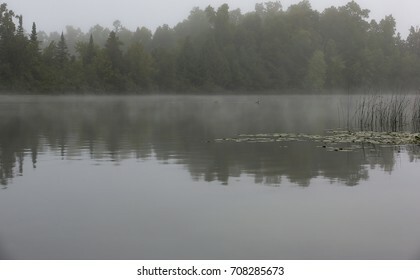 A pair of lake loons glide silently through a bay and past reeds on a very foggy morning on a Minnesota lake. 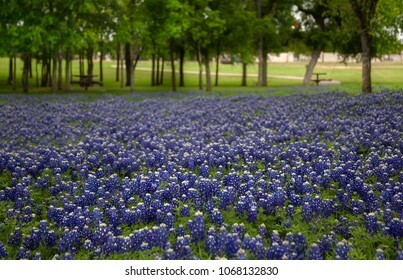 Looking down point of view on a grouping of beautiful and intensely blue springtime bluebonnet flowers in full bloom, in Ennis, Texas. 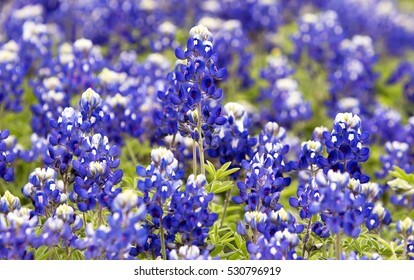 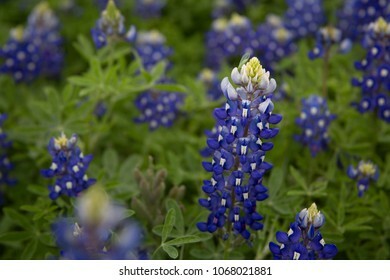 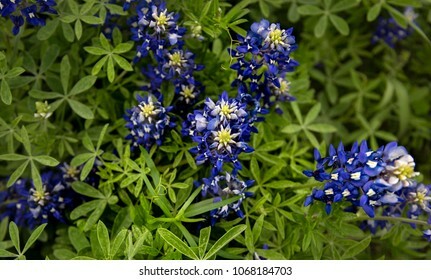 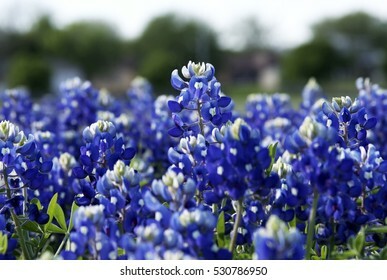 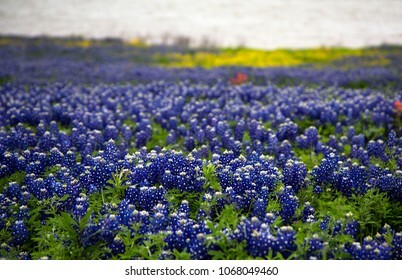 Intense, rich, cobalt blue of a springtime field of bluebonnet flowers in full bloom at the edge of a lake, in Ennis, Texas. 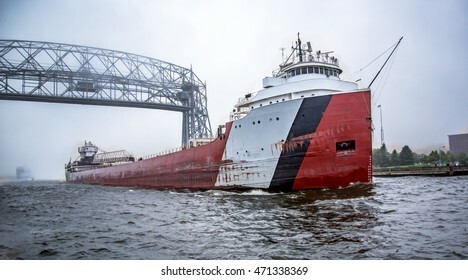 Container ship crossing under a vertical lift bridge and leaving Duluth harbor to pick up a load of taconite pellets. 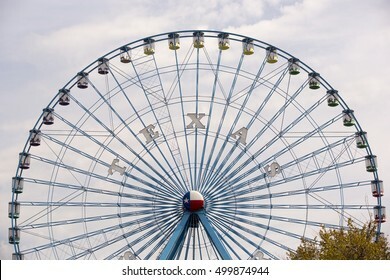 Dallas, TX USA Oct 13, 2016: At 212 feet, the Texas Star at the State Fair of Texas, is the tallest ferris wheel in Texas. 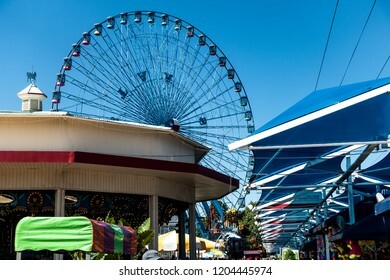 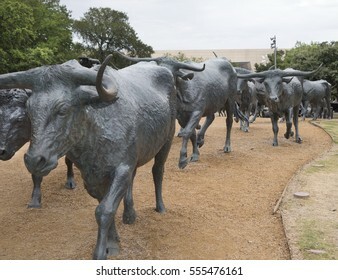 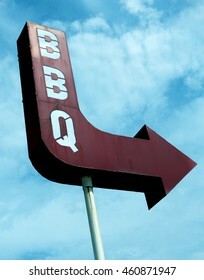 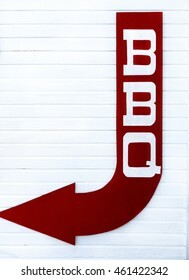 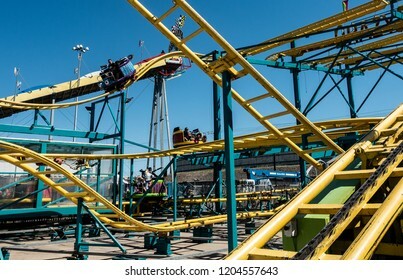 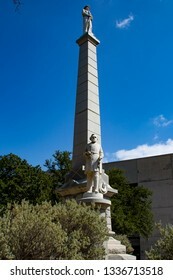 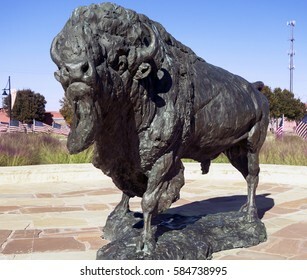 The fair runs annually at Fair Park during the first three weeks of October. 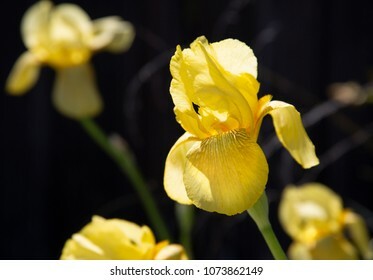 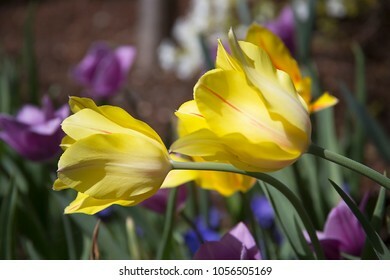 Two leaning yellow tulips in full bloom in a garden, back lit by a bright afternoon spring sun.